"I'm Sebastian, Lord St. Vincent. I can't be celibate. Everyone knows that. "Desperate to escape her scheming relatives, Evangeline Jenner has sought the help of the most infamous scoundrel in London.A marriage of convenience is the only solution.No one would have ever paired the shy, stammering wallflower with the sinfully handsome viscount. 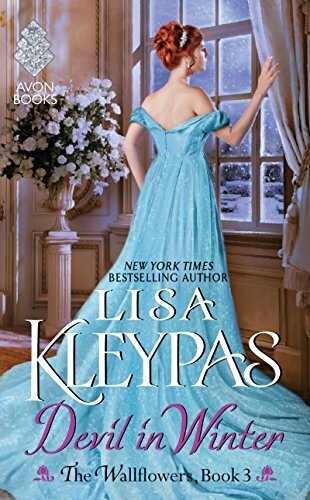 It quickly becomes clear, however, that Evie is a woman of hidden strength—and Sebastian desires her more than any woman he's ever known.Determined to win her husband's elusive heart, Evie dares to strike a bargain with the devil: If Sebastian can stay celibate for three months, she will allow him into her bed.When Evie is threatened by a vengeful enemy from the past, Sebastian vows to do whatever it takes to protect his wife . . . even at the expense of his own life.Together they will defy their perilous fate, for the sake of all-consuming love.